Get ready to WOW in this amazing jumpsuit. 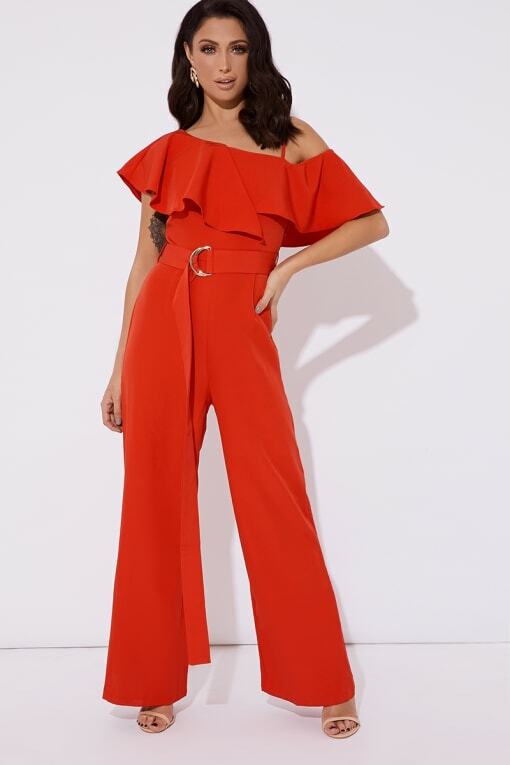 Featuring lace detail, tie waist and wide leg fit, this lush red jumpsuit will have you party ready in an instant! Go for strappy heels and jewellery to earn serious style points!